Look what Mandi from Here's Lookin' At Me Kid made with an old western shirt! This week's Project ReStyle is something you can do if you've got some basic sewing skills and a thrift store nearby. This skirt would be perfect for spring with some vintage woven oxfords or a fun wedge sandal! Here are a few of my favorites from the Project ReStyle Flickr pool. 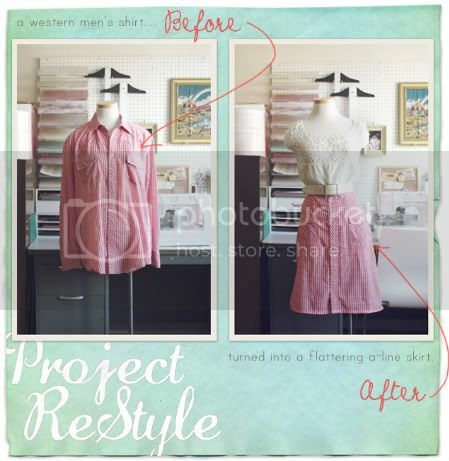 Head over to Elsie's to see some of her favorite Project ReStyle's this week. I'm going to create some of my own things like this. those are amazing and im lovin that skirt! Oh my goodness i am in heaven on your blog. Love that skirt! 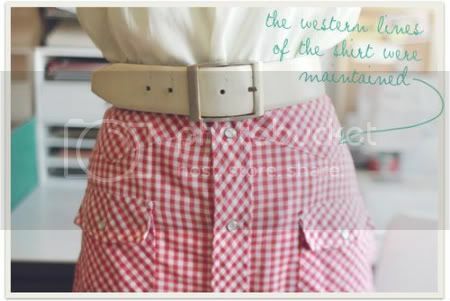 So excited about the shirt restyle, i have just got a bunch of my Mr's old shirt i now know what in making with them! the dog house is just the cleverest! OMG, that dog looks like my Ziggy! thanks for featuring my restyle! 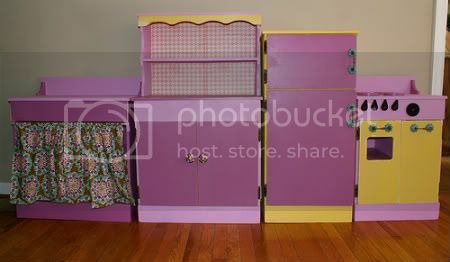 hopefully you will find a play kitchen set that just needs a little love for little miss ruby! awesome for toddler girls! 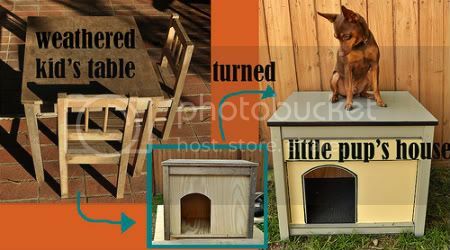 WOW thanks for featuring my little pup's ReStyled house. My husband is the talent behind this one. He is seriously AMAZING!!! wow, so excited to see my bike basket on Smile & Wave. thank you for featuring it! Project Restyle has sparked so many inspiring ideas & it's just the beginning still!